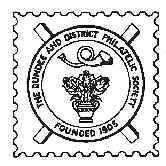 All covers shown here are designed and produced by Dundee Philatelic Society to commemorate events which have some relevance to the Dundee area. 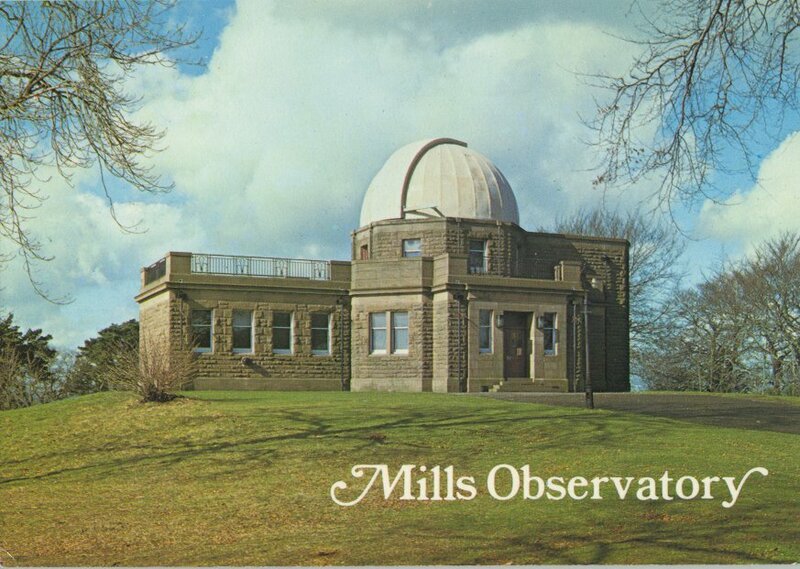 All covers can be purchased by e-mailing dundeephilatelic@btinternet.com specifying your requirements. Please include postage & packaging with your orders. 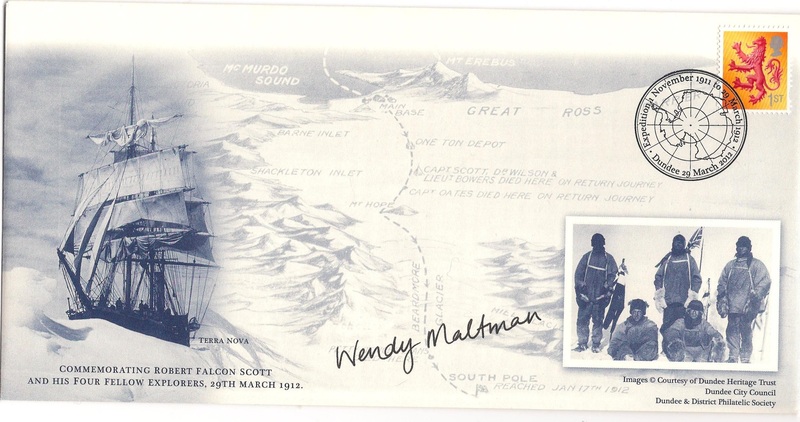 An unserviced cover commemorating Robert Falcon Scotts antarctic expedition. A cover commemorating Robert Falcon Scotts antarctic expedition. This cover contains a Scottish Definitive stamp. A cover commemorating Robert Falcon Scotts antarctic expedition. This cover is signed by the Rector of Dundee High School Dr David Wilson. 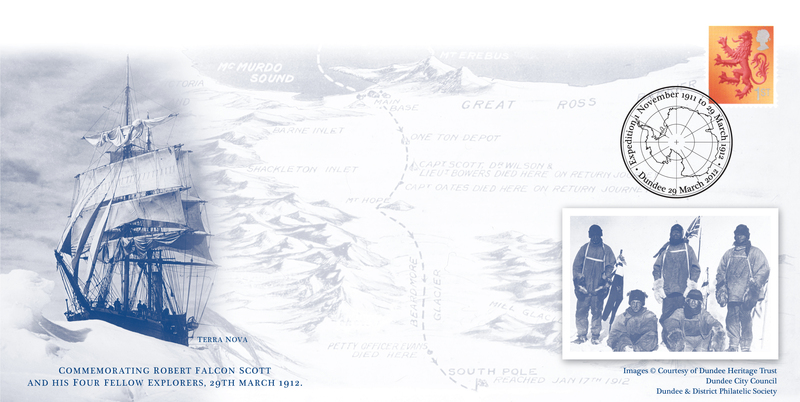 A cover commemorating Robert Falcon Scotts antarctic expedition. This cover is signed by the Wendy Maltman, who designed the cover. 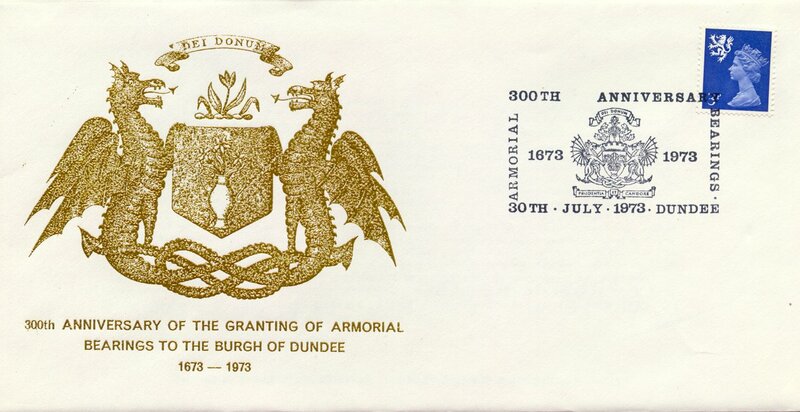 A cover issued to commemorating the humanitarian and Dundee M.P. Edmund Morel. This cover has a cancellation on ther front. A cover issued to commemorating the humanitarian and Dundee M.P. Edmund Morel. This cover has a cancellation on ther back. A cover issued to commemorating the humanitarian and Dundee M.P. Edmund Morel. This cover has a cancellation on ther front and is also signed by the DDPS President Charles Lloyd, local M.P. Jim McGovern and the Dundee Lord Provost John Letford. A cover issued to commemorating the humanitarian and Dundee M.P. Edmund Morel. This cover has a double cancellation on ther front. A cover issued to commemorate the 700th Anniversary of the death of Sir William Wallace. A cover issued to commemorate the 700th Anniversary of the death of Sir William Wallace. This cover is signed by the Rector of Dundee Hign School. 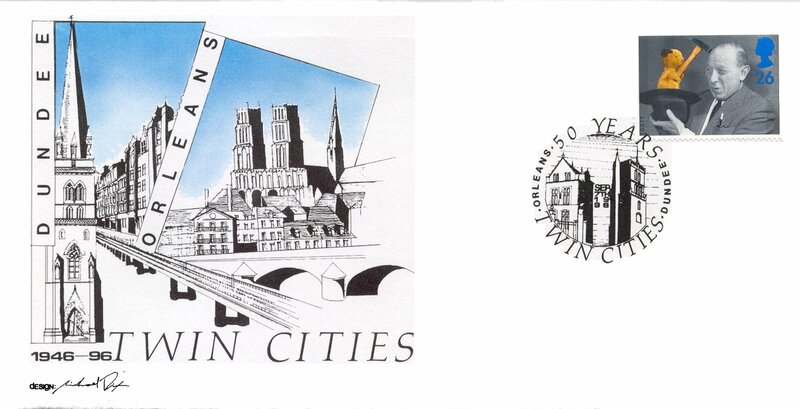 A cover issued to commemorate the twinning of Dundee with the French city of Orleans. 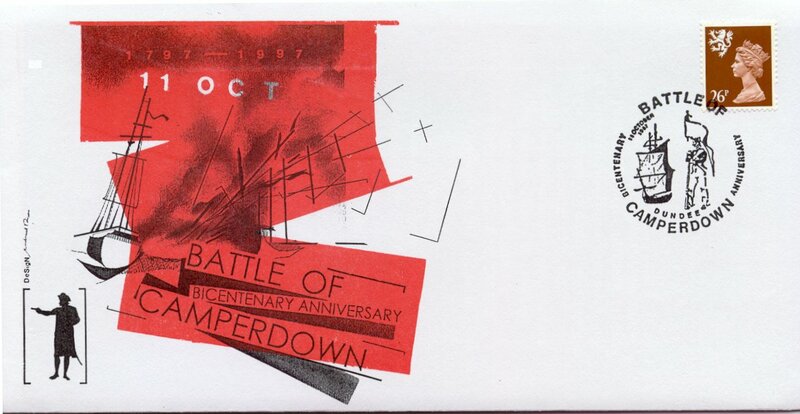 This cover has been cancelled with a Sooty stamp and bears a CDO cancellation. 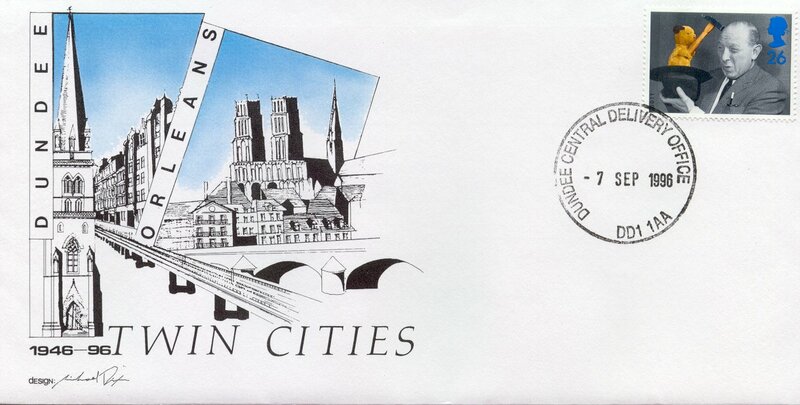 A cover issued to commemorate the twinning of Dundee with the French city of Orleans. This cover has been cancelled with a definitive stamp. 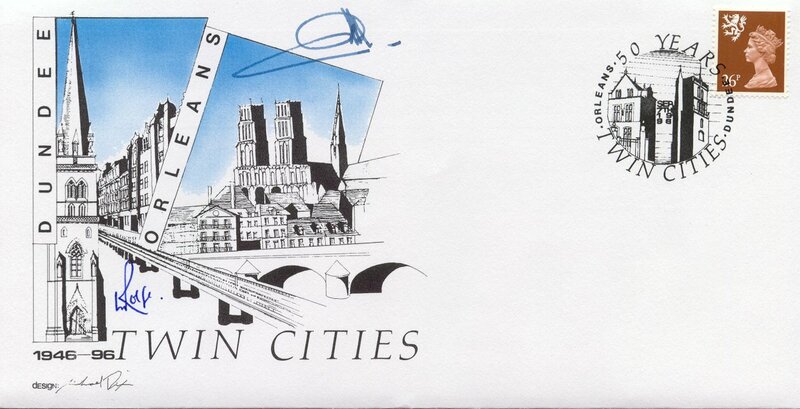 A cover issued to commemorate the twinning of Dundee with the French city of Orleans. This cover has been cancelled with a Sooty stamp. A cover issued to commemorate the returning of Captain Scott's ship Discovery to its home port of Dundee. 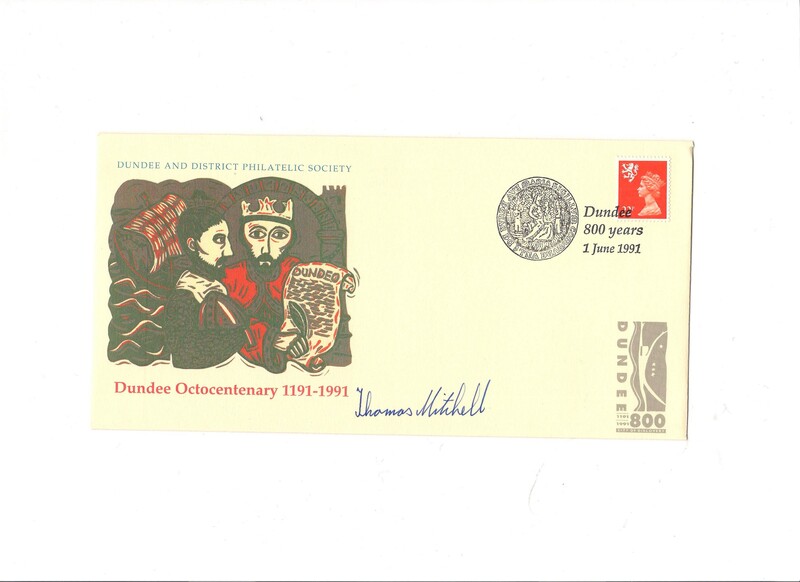 A cover issued to commemorate the 800th Anniversary of Dundee and signed by Lord Provost Thomas Mitchell. 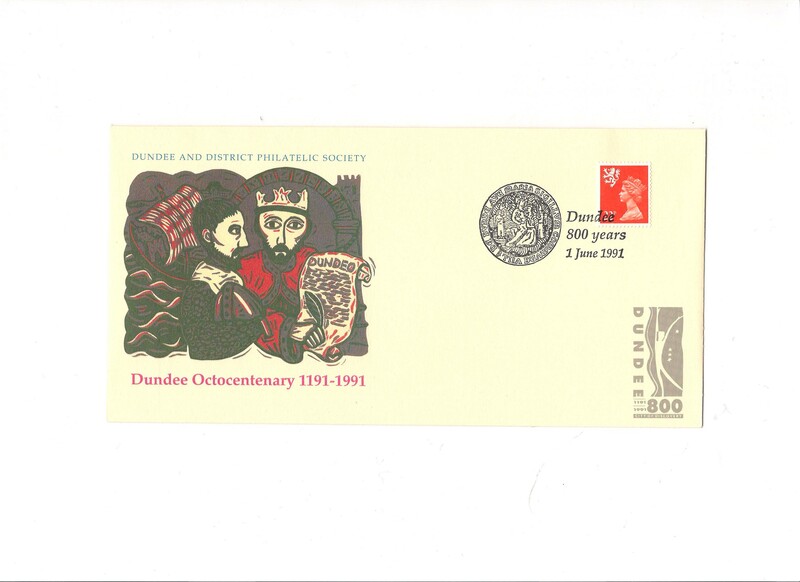 A cover issued to commemorate the 800th Anniversary of Dundee. A cover issued to commemorate the centenary of the launch of Captain Scott's ship Discovery. There are only 2 of these covers remaining. 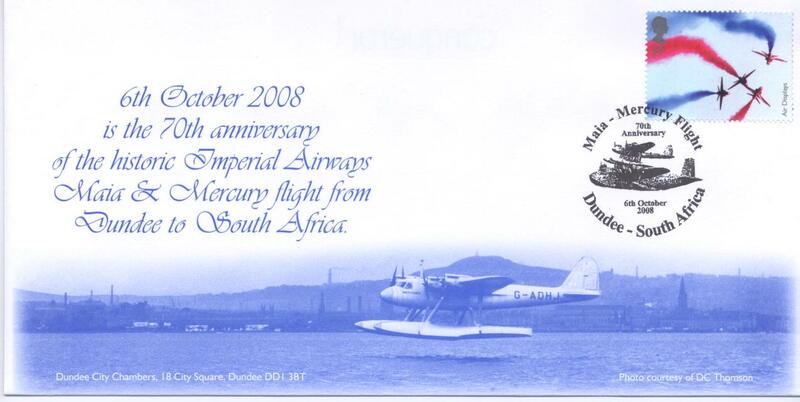 A cover issued to commemorate the 70th Anniversary of the record breaking flight of a flying boat from Dundee to South West Africa. 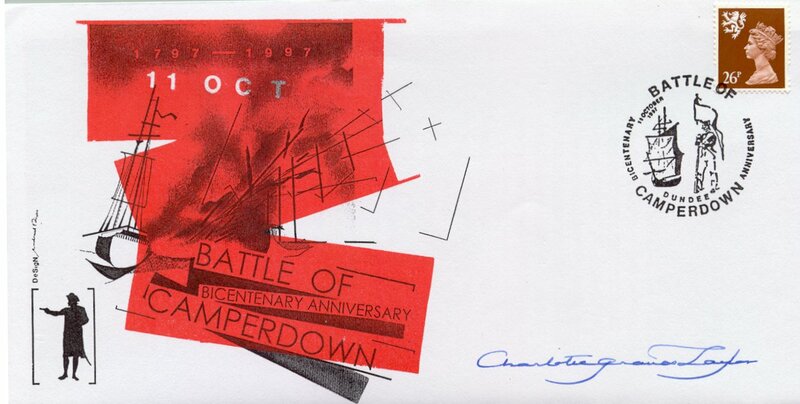 This cover uses a 1st class stamp depicting the Red Arrows display team. This cover uses a regional definitive stamp. This cover is signed by the great, great, grandaughter of Admiral Duncan. There are only 3 of these covers remaining. 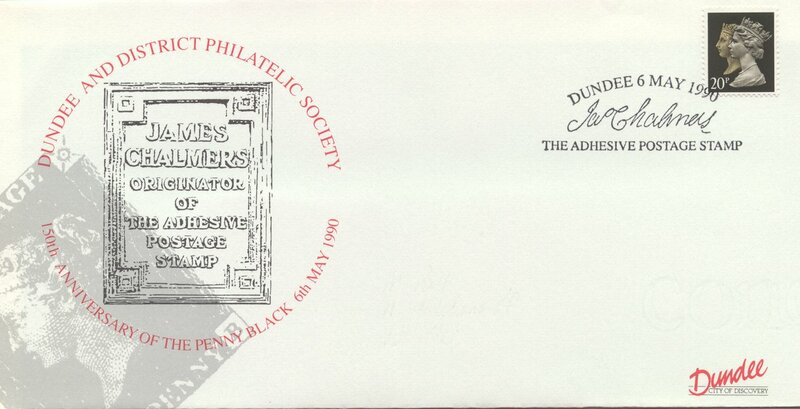 This cover is issued to commemorate	James Chalmers who was recognised as the originator of the adhesive postage stamp.